Home: Explore Pirate Voyages website from the home page, here.Navigate through our website to book a trip, learn more about the Sea Dragon ship and find resources for your vacation in Ocean City, NJ.About: Take a ride on the Sea Dragon and bring the little ones for an authentic pirate adventure at the Jersey Shore! Learn more about our crew and our ship. Read more about Pirate Voyageshere.Photo & Video Gallery: Visit Pirate Voyages photogallery to see photos and videos of our guests. Face painting, storytelling and smiles abound!Birthday Parties: Bring your child aboard the Sea Dragon for a birthday party they will never forget! Our boat holds up to 49 people for private charters and field trips, too. Learn more about birthday parties with Pirate Voyages here.Reviews: Read our rave reviews! 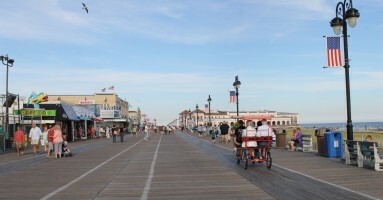 We are ranked #4 in Ocean City, New Jersey’s best activities. Take a look at these testimonials.Pricing & Policies: Pricing for our Pirate Voyages is based on a per person rate. 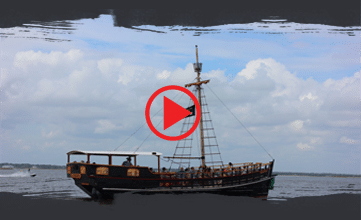 Read our policies and prices page to get current rates.Discounts: Click on this page to print out a currentpromotionand save money on your Pirate Voyages.FAQ: If you are curious about Pirate Voyages in New Jersey, you’ve come to the right place. Find answers to Frequently Asked Questions. Or call 609-398-7555 to get the answers you need.Directions: You will find Pirate Voyages at 232 Bay Ave, Ocean City, NJ 08226.Find the map to our locationon this page.Area Info: Explore the Ocean City, New Jersey area to find local restaurants, shopping, the Jersey City Boardwalk, Ocean City Parasail and other fun activities to do on your vacation.Area Info pageBlog: Our Buccaneer Blog has some fun pirate facts, information about our company, celebrations, pictures and more. 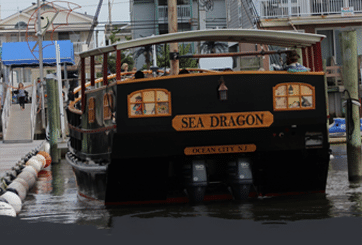 Read our Pirate Voyages bloghere.Privacy: Pirate Voyages of Ocean City, NJ respects your privacy and never shares your private information. Review our privacy statementfor a spam-free experience on our website.Terms of Service: By browsing Pirate Voyages website, you agree to our terms of service. Read the terms of servicehere.Contact: Book your pirate tour today! Contact us at: 609-398-7555 to ask any questions before you schedule an authentic, pirate boat ride for your whole family! We accept Visa/MasterCard and other methods of payment.